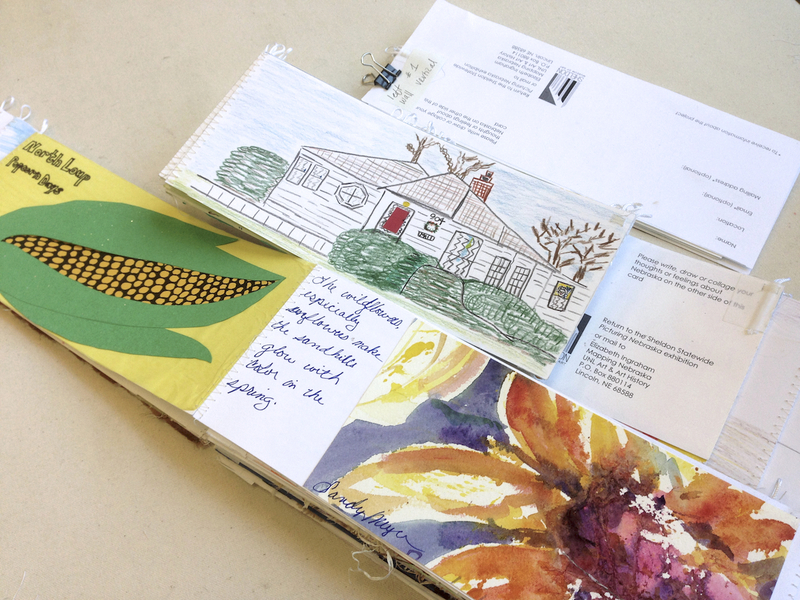 During the tour of Sheldon Statewide, visitors were invited to become a part of my Mapping Nebraska project by writing, drawing, or collaging their own thoughts and feelings about Nebraska on participation cards. 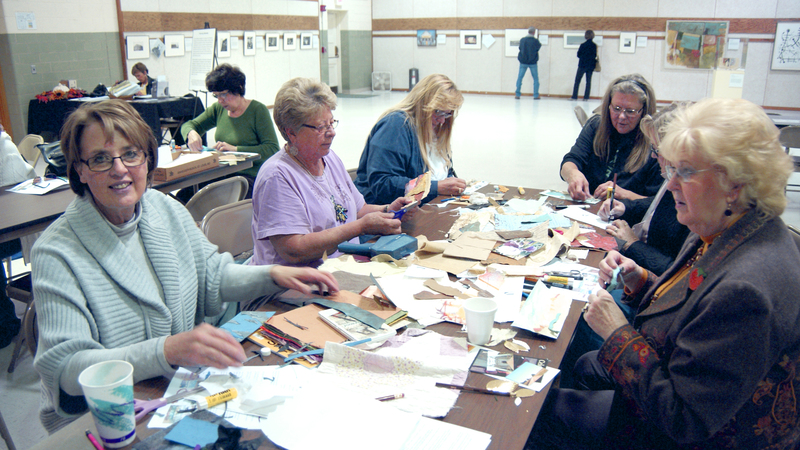 I distributed cards to viewers and to the local communities and did free community workshops at North Platte, Grand Island, McCook, Falls City and Scottsbluff and workshops for educators at the Nebraska Art Teachers Conferences in Wayne and Aurora, Nebraska. I collected over one thousand collage cards during Sheldon Statewide and stitched them together for exhibition in the Focus Gallery at the Sheldon Museum of Art in August and September, 2014.